Sure, Kevin Durant signed with the Golden State Warriors, but the question is, exactly how much did they improve in the process? Did they make enough of a jump to qualify as one of the teams who massively improved this offseason? That’s just one of the many questions that we answer here. We’re going to take a look at the five teams that improved most during the 2016 NBA offseason. We’ll not only factor in free agency, but the NBA draft as well. Let’s start with a team that was just one big man away from being a serious contender. Thankfully, that team now looks ready to push the Cleveland Cavaliers in the Eastern Conference. To be brutally honest, this one comes down to one player, Al Horford. Signing Horford was a serious game-changer for this team. Not only did the Celtics know what they needed this offseason, but it seems apparent that Horford saw the opportunity he has in Boston. He makes this team a legitimate title contender once again, with the rest of the roster rounded out pretty nicely. 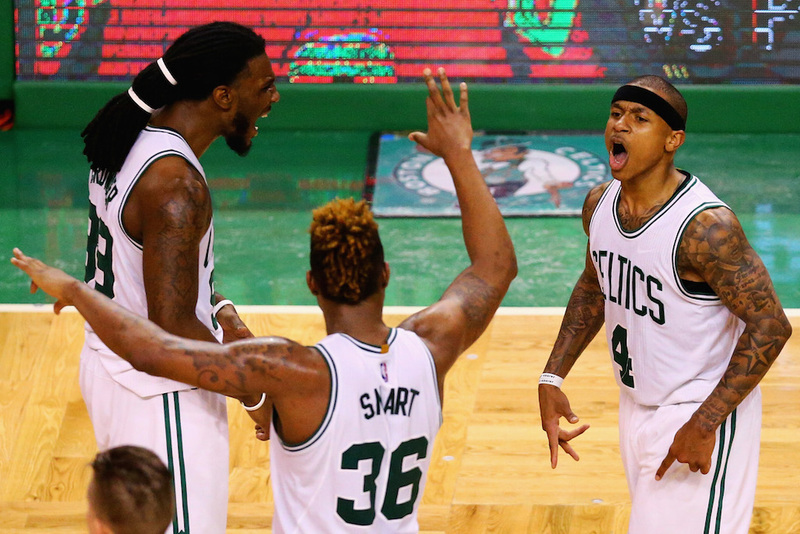 The Celtics also added a beautiful draft haul that featured a ridiculous eight picks. It seemed like every time you blinked, Boston was back on the clock during the 2016 NBA Draft. Their most talked about pick is Jaylen Brown from California at No. 3. If he comes into his own early, Brown could be an interesting prospect. The addition of Demetrius Jackson in the second round was also nice, but is a bit overlooked. To everyone out there who completely hates the Warriors largely due to the fact that they are loaded, we’re sorry. Golden State just has too much talent, and with Zaza Pachulia and David West both joining up with the Warriors, it makes them even more interesting. Overall, when your starting lineup features Stephen Curry, Durant, Klay Thompson, and Draymond Green, it’s hard to argue with the fact that this team had a ridiculously great offseason. Yes, the Warriors lost some of their depth in the process, but we can’t ignore what signing Durant alone truly brings to this team and this roster. They’re absolutely improved heading into the 2016–17 season. People don’t really want to tip their cap in the direction of the Knicks for some reason, but this doesn’t make much sense. Phil Jackson made it known that he was going to make the Knicks a contending team, and they took a step toward doing that in the 2016 NBA offseason. While New York probably won’t contend for a championship next season, they’re still better than they were last year. A starting lineup of Carmelo Anthony, Kristaps Porzingis, Derrick Rose, Courtney Lee, and Joakim Noah — with Brandon Jennings first off the bench — is strong enough to get the Knicks back to the postseason for the first time since 2012–13. The Pacers are another team getting largely overlooked for their strong offseason. It seems like no one wants to talk about the addition of Jeff Teague or Thaddeus Young. Instead, we’re hearing about the losses of Ian Mahinmi and George Hill. Myles Turner can fill in Mahinmi’s role just fine, while Young and Teague are both major offensive upgrades. The Pacers also added a strong inside man in Al Jefferson (although he’s set to come down the home stretch of his career). One way or another, it’s hard to argue that the Pacers aren’t sitting in a better spot than they were last season. Oh, let’s not forget about Paul George, because the biggest star is still in Indiana. The loss of Tim Duncan is really sad, because the whole NBA will miss him. He was a legend, a great player, great teammate, and beloved by the fans. In terms of the Spurs’ outlook in 2016–17 though, it’s pretty beautiful. 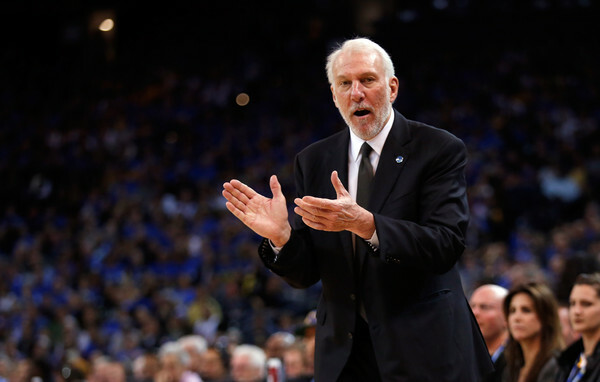 The franchise, by signing Pau Gasol, has set the Spurs up to have a three-headed monster that includes Gasol, LaMarcus Aldridge, and Kawhi Leonard. If you had a guess, what will be the best (and possibly only way) to beat the Warriors in a seven-game series? It’s probably a pretty safe bet that it’ll have something to do with a dominate inside game, which the Spurs absolutely have now. The Gasol signing is overlooked, and the Spurs didn’t do a ton besides that, but we truly believe it makes a much, much better team; one that can contend for a championship.